Besides the trips in 2002, 2009 and 2017, which were for vacational reasons, Sweden was - besides Germany - my most visited country for some years. As I had quite some business trips to Sweden, I spent more than one month a year for quite some time in Sweden. 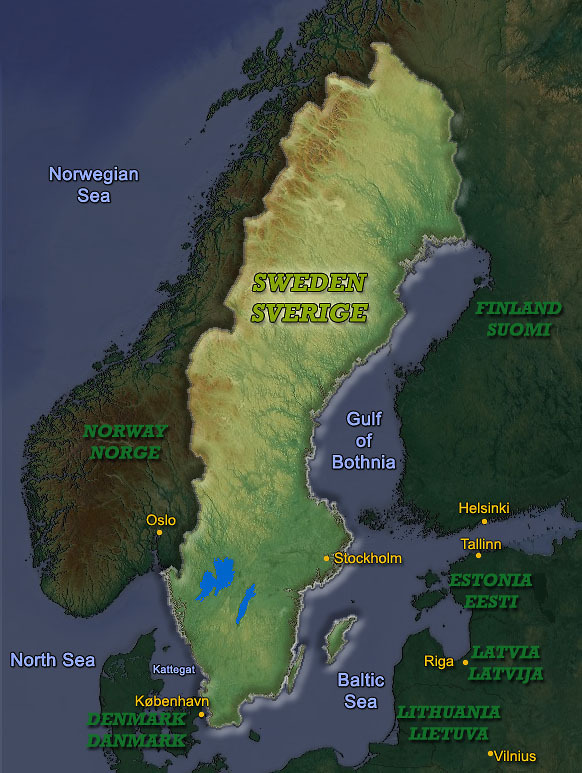 Most times I travelled to Stockholm, sometimes to the wonderful Island of Gotland and a few times to a town 200km North of Stockholm called Gävle. Maybe triggered by the Denmark trips I made together with my parents nearly year by year when I was young, I lost my heart to the Northern Countries. Sweden made me extending the set of countries I wish to return to over and over again. One of the things making such keenness very easy are the extraordinarily friendly Swedes. Quite open to foreigners, always polite and perfect in English. Compared to Germany it is tremendous how many Swedes speak really good English, likely supported by having all TV films in the original tone, i.e. not dubbed like all films in Germany. Although I try to learn some Swedish (the written words are often quite similar to German) it is hard if you can't spend enough time on it. And a speaking Swede is as bad as a speaking Franconian - hardly to understand from the viewpoint of a German just knowing some words - usually very fast! In 2002 my wife and me finally made it to spend our holidays in Sweden, and we added another trip together with our son in 2009 - Sweden offers a vast amount of attractions also for children. One just to mention is Astrid Lindgrens Värld, which satisfies parents wishes as well, especially those grown up with Lindgrens books. I won't write more about it, as I - as in Canada - have written a type of personal travel diary in 2002 (German only). Write me a mail if you'd like to check it out.